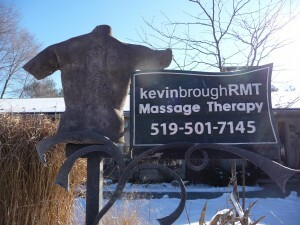 I began my career as a Registered Massage Therapist (RMT) after graduating from Kikkawa College in 1999. In addition to Swedish Massage, I integrate a number of different techniques into my treatments, including: myofacial rebalancing, stretching and integration, cranial manipulation, structural integration and Eselan deep tissue/Rolfing. My primary goal is to create ease of movement for the client through manipulation of the muscles, joints and soft tissue. In addition to my treatments, I draw upon my experience as a sports coach and my study of Tai Chi, Qi Kung and Pilates to give my clients customized tools, such as stretches and exercises, that they can utilize between treatments so that their quality of movement can continue to improve. My philosophy of treatment and therapeutic approach is largely influenced by the ideas of Moshe Feldenkris who said,“increased quality of movement certainly increases the quality of life”. This can be understood in a few different ways. 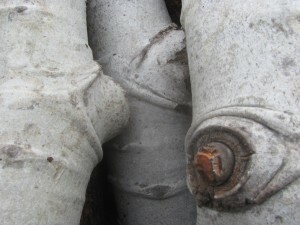 In its most basic form, physical movement is facilitated. In a deeper sense, this ease of physical movement can release stress and other emotional barriers that injury and pain often carry with them. Life should be a constant effort to move forward and to improve ones self, and the lives of others around us. Please notify me by phone at least 24 hours in advance of any conflicts regarding making it to your appointment. If your policy covers the services of an RMT, ask about what amount, percentage or total coverage is permissible under the plan. Please note that you may also need a referral from your MD. I can also provide services through both WSIB and MVA. These plans often require an approved treatment plan from your DC, PT or MD before treatment can commence. Receipts will be given for you to submit to your insurance carrier. All information provided on your health history will be kept confidentially in accordance with RHPA (Regulated Health Person’s Act) and PIPEDA (Personal Information an Private Electronic Act). Your written permission will be required to release any information to another health care provider. All Texts and Phone calls are controlled in the same manner. Emails should not contain any private information and may take a few days to reply to. 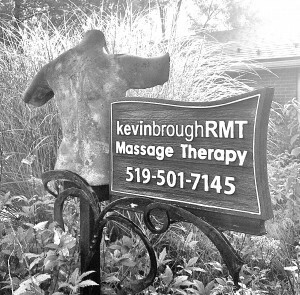 Come and discover what massage therapy can do for you, either at the convenient Uptown Waterloo clinic, or at the riverside clinic in Elora. I work out of Vital-Links Physiotherapy in Waterloo.